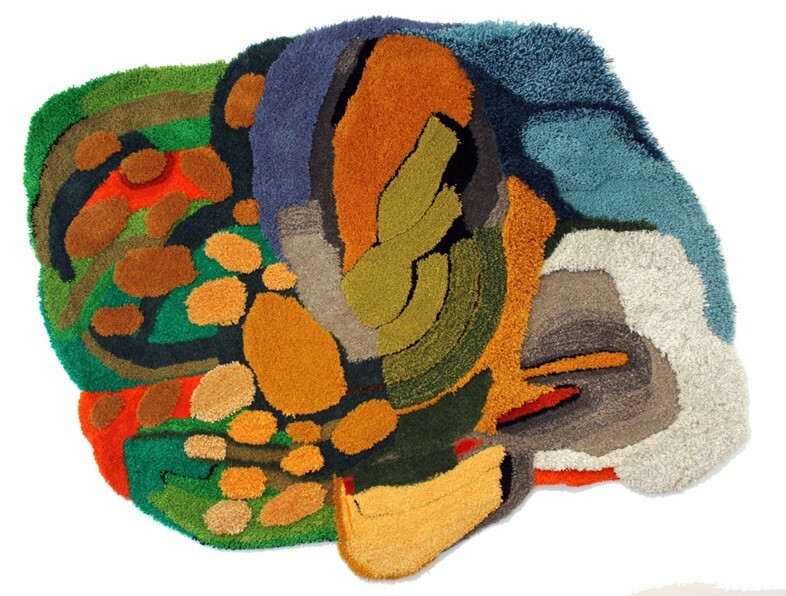 The art of rug making is as old as time, but Jonathan Josefsson has managed to reinvigorate the craft with his brilliant, technicolour abstractions. The Gothenburg-based artist had been spraying walls for 15 years before discovering the charm of yarn and needles in 2006, during his final year at art school, when he found a passion that extended beyond his urban graffiti. 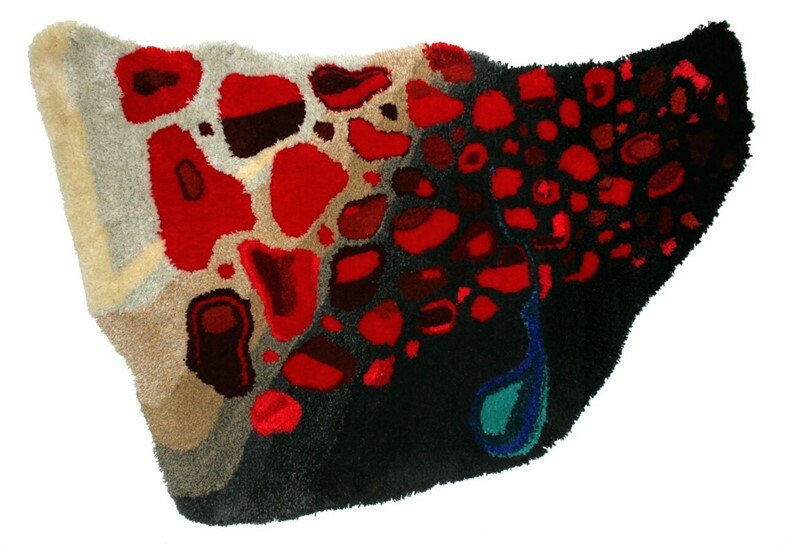 His woven pieces are unique in both style and form; made by hand using a tufting gun, each creation is a woollen sculpture. 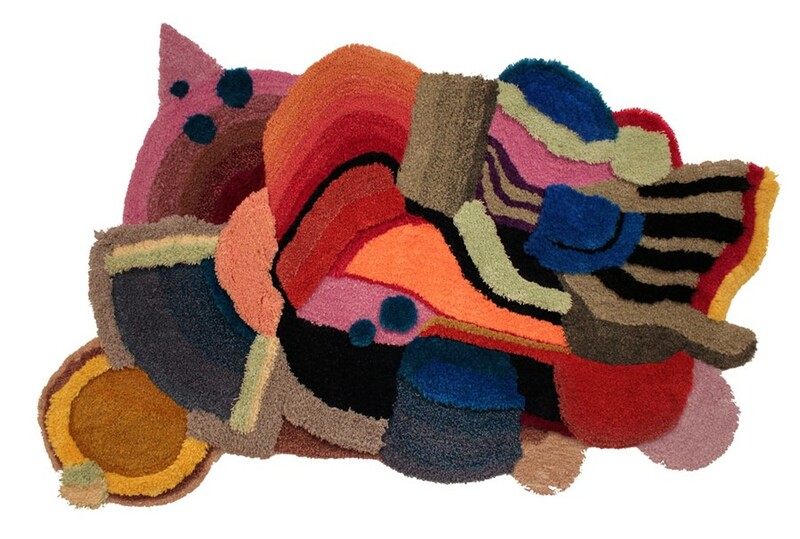 Entirely improvised, the fluctuating lines and organic shapes are somewhat evocative of biology, taking the form of elastic human cells, rainbow intestines and stylised faces and, although they're almost too good to tread on, they would be an enviable addition to any living room. Here, we catch up with Josefsson to discuss artistic influences, spontaneous creation and superpowers. "I get inspiration from a lot of different sources, from comics to nature TV. I find birds and fish fascinating in their forms and colours and I love the work of comic book artists like Moebius, Enki Bilal, Joakim Pirinen, Nina Hemmingsson and Liv Strömquist. Instagram is also a great place to get inspired and I follow the work of Stenlex, Wtwdid, Gris1 and Aryz – the mural scene that has evolved in Europe and the world in recent years is fantastic! "As an experimental graffiti and textile artist, I like to play with abstract patterns but I like figurative painting, too. I get easily bored if I do just one thing, so I like to experiment with stuff although you could say there’s a constant in my work: colour." 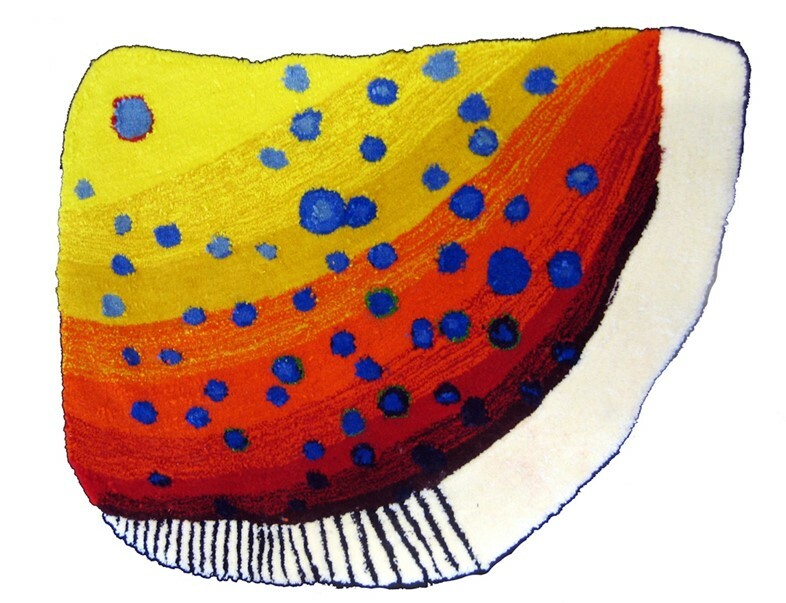 "Per Kirkeby has been a major inspiration for a very long time. I really love his paintings, the way he combines colour and the fact that his canvases are often really big. When I first came across his work in 2001, it really changed the way I do graffiti. It pushed me to start exploring abstract art instead of just doing lettering." "I get up at 6.30am, make breakfast for the family, drop my daughter off at school and then head to the studio to work on whichever project I’m into at the moment. It could be working on new rugs, painting, sketching for commission work or just trying out something new. At least once a week, I go out to paint a wall somewhere in or around Gothenburg." "Being able to fly would be awesome! I like travelling, and I love to see new places so I would fly everywhere – especially to some of the world’s most exotic, natural places. Nature attracts me with its beautiful landscapes. But the next trip is already planned, and it will be Venice with the family next month." 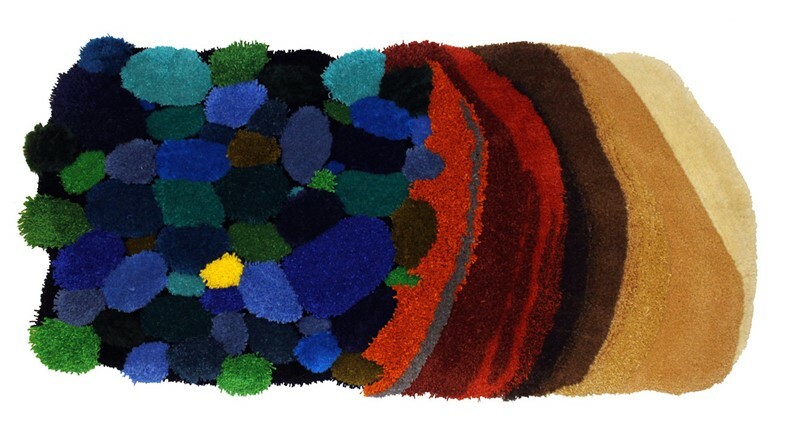 See here for more beautiful rugs in the work of Henzel Studio.